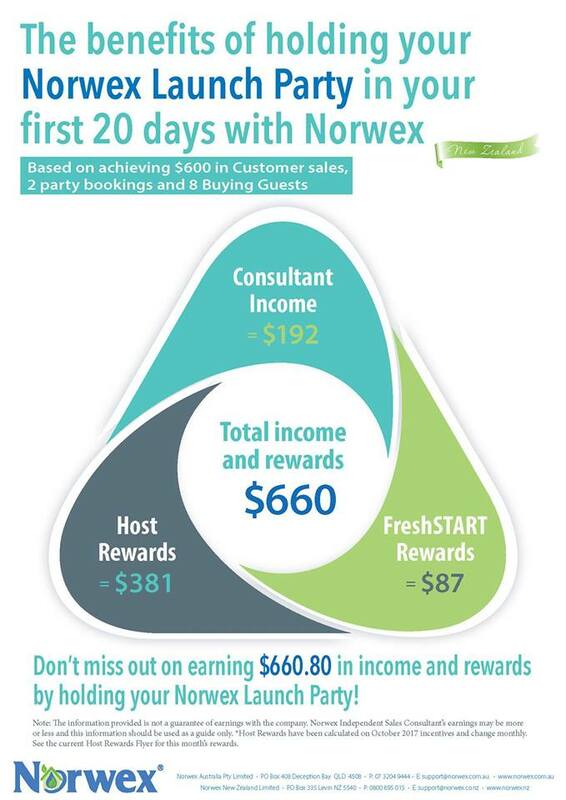 How to Join Norwex in Australia – Risk Free! Norwex has been in Australia for 10 years, but is still a relatively new company with a LOT of room for growth. Currently there are Norwex products in less than 2% of Australian homes, so we have a long way to go! That means if you are looking for a new business opportunity, then this is a chance to get in at the ground floor with a growing company. Or if you just want to share Norwex with your friends, family and colleagues – you are very welcome!! This is a bit of an FAQ on becoming a norwex consultant in Australia, and at the end I will link to documents you can download in PDF if you would like to read more. You are also more than welcome to contact me and I will be happy to send you all the information you need (in print or via email – your choice) and answer any questions you may have. Can you purchase extra (a discounted upgrade kit) at sign up if you want to? Is there a party guide I can follow? Is it easy to do a party? In Australia, you can choose between two new consultant Starter Kits. The best one is valued at over $500 (including the MOP!) but has an upfront investment of only $10.95 (which is the shipping fee)!! Called the Party Starter Kit, this is the kit for you if you want do any number of parties, or want to get the mop for FREE! You have 90 days from joining to earn that kit, but many consultants have achieved their sales target within the first month (getting them an extra $100 shopping spree, woohoo!). And just to be clear, it really is FREE – you don’t pay for it out of your commission, you still get the commission as well!! How many parties would you need to do to earn this kit for free? Around four-six average parties (depending on sales, obviously). In three months!! Too easy. 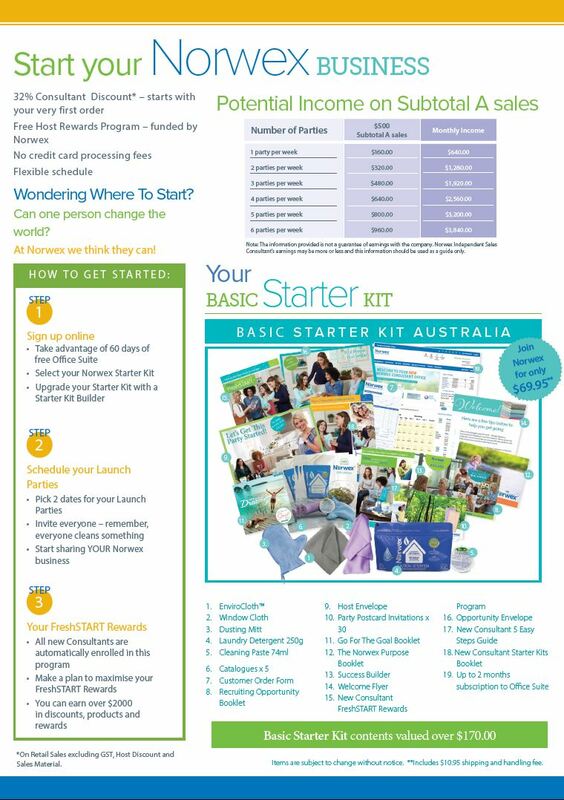 The smaller start up kit (Basic Starter Kit) is only $69.95, with no more to pay EVER. Can you say #riskfree? And it is still valued at over $170, And has everything you need to do a Safe Haven Five party right away. So if you would like to make around $800/month, you would be looking at doing an average of one party a week (or 4 parties one weekend/month! ), or if you would like to do 2 shifts/week, you double your income! 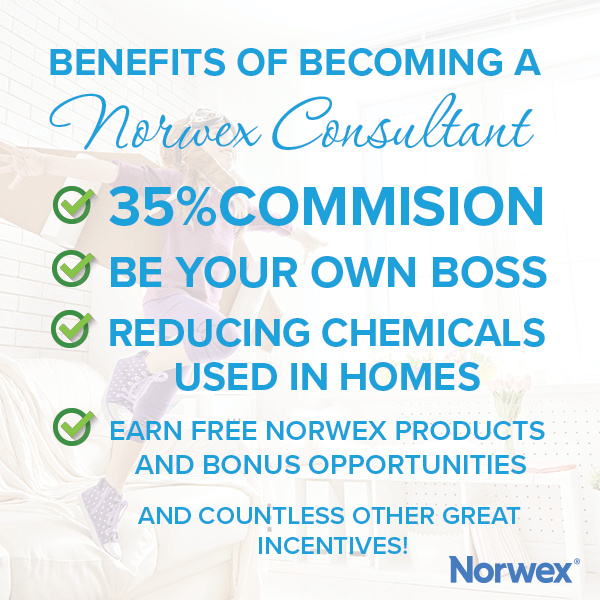 When you help other people join Norwex and support them to develop their own business or even just a small customer base, you can also earn an extra commission to pay you for leadership activities, and before long this can actually earn you more than your own parties do! Norwex has extra training and even an extra conference just for leaders, and they LOVE to help you develop leadership skills. The senior leaders in Norwex still do parties/demos, but their income from their leadership roles easily surpasses their income from their parties. Norwex consultants benefit from being part of a fabulous and growing community, of course, and in fact their are many testimonies from consultants about what an incredible difference Norwex has made in their life. But are the more tangible benefits too? There certainly are. From free travel (I went to Hawaii on an all expenses paid (by Norwex) holiday in 2016, and I’m working towards a trip to Daydream Island this year – plus there’s a trip to the Maldives available too! ), to free Norwex products, to other monthly incentives, there are many different ways Norwex rewards us for sharing the love! Every month there are different consultant rewards at each of these sales levels, usually including catalogues. 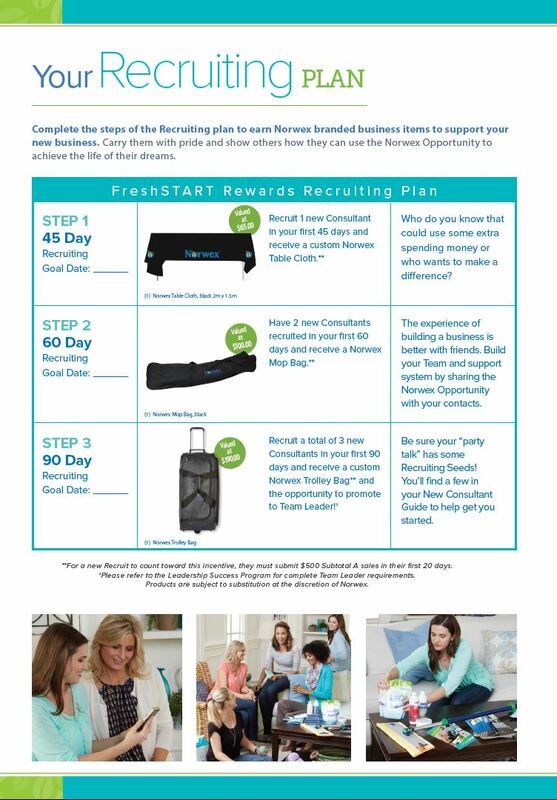 Norwex offers different consultant incentives every month, usually designed so that “casual” or non-partying consultants can earn something, part-time partiers can earn something, and full-time partiers can earn something, including enough catalogues to keep them going until next month (and our catalogues only change once or twice a year, so if you don’t use them all in one month, that’s okay!). Usually if you do even about 4 parties/month you will get your catalogues free each month (along with a few other products or supplies too). Often, there’ll be some incentives based on sales, and others based on parties or another focus. As an example, here are some recent incentives for consultants. (click on the images to see them larger). 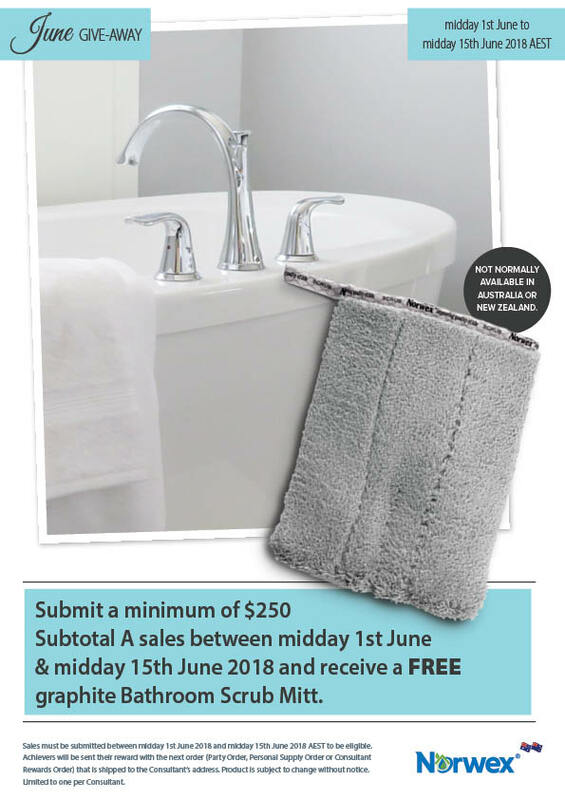 In June last year, for submitting $250 in sales consultants could receive the fabulous bathroom scrub mitt (not available for purchase in Australia) for free. In August the incentives for both old and new consultants were around submitting party sales (and keep in mind, a party doesn’t have to be a “party” – it can be a “catalogue party”, ie the consultant collects a few orders from friends, colleagues or family, and submits them together as a “party”, adding a “booking” with themselves as the host, for the next time they get together a few orders (maybe the next month, or the one after). As in this case, there’s often one for new consultants, one for more or less casual consultants (those who either don’t do parties, or don’t do many), and one for more regularly partying consultants – and some people will earn all three!! And this is not even counting the ongoing annual incentive that includes an Overseas Holiday, and a bunch of other rewards along the way! Why yes you can! 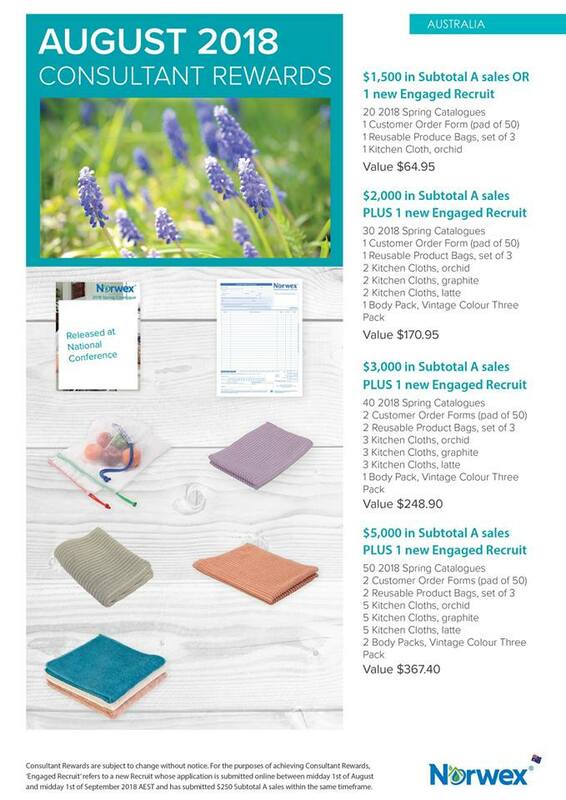 Of course, you can sign up for the Party Starter kit I mentioned above, and just pay the $10.95 shipping, but as well as that, whichever starter kit you sign up for, in your first three months with Norwex you can earn hundreds of dollars worth of free products, and finish with a $200 spending spree (or $300 if you achieve it all in 30 days – very doable! ), just by doing some parties. AND you are earning an income while you do it! You can even host your own party (or a couple of parties) and get the host gifts AS WELL! Can you purchase extra at a discount when you sign up, if you want to? Again, yes you can! 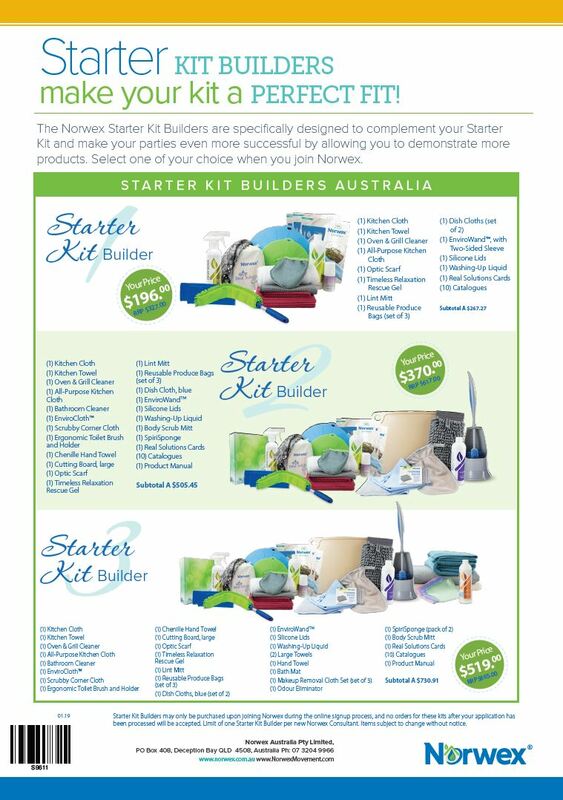 During the sign-up process you will have the option to purchase an AWESOME Starter Kit Builders (previously known as additions kits) at 40% off the retail price (3 different kits to choose from). And as a bonus, the products in the kit will count as “sales” for you in your start up month, just as though you’d paid retail price! 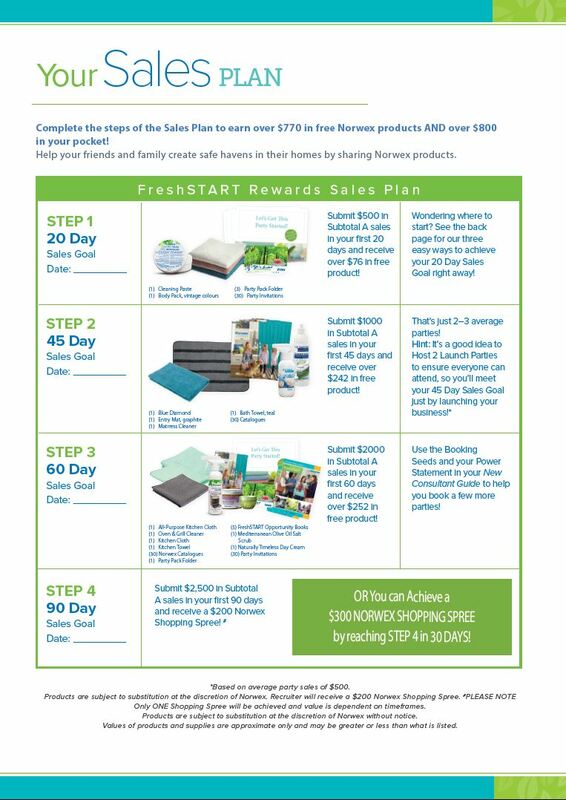 So you can get jump start on your Fresh Start rewards, and any other incentives available that month. As an example, the largest kit (Builder Kit 3) has a full retail value of $865, but you only pay $519. Some of the products in it are not “retail” product, eg catalogues and a product manual (the only time you’ll ever get a discount on them! ), so they don’t count as “sales” but the Consultant’s “SubTotal A” value (which is RRP minus GST) on this kit is $730.91. So you would have already achieved step 1 in your Fresh Start rewards be almost half halfway towards step 2! If you got the Party Starter kit as well, you would already be more an 1/3 of the way towards earning it for free too! There is online training, run by Norwex and by our FABULOUS team. There are monthly webinars, and there are also many video and webinar trainings you can access immediately. There are also weekly new consultant webinars run by Norwex. There is also in-person training, depending on your location, sometimes run by the Norwex company trainers and sometimes by Norwex leaders. In Canberra we have monthly training, usually both day and night-time options. Local leaders also run new-consultant and party training – chat to me to find out dates. We are a very cooperative bunch, so leaders tend to work together to support each other, and to support each other’s teams. Is there a Party Guide I can follow? There certainly is. There is a flip book you can simply follow along, which tells you what to say and how to do demos! So you can pretty much take your kit out of the box, invite some friends over, and read out the script and you are away! You can download a PDF of this and/or watch a video online. Of course, there are also videos of senior leaders doing parties online, and training videos where they tell you WHY they do or say what they do. And, if you are in Canberra (or nearby) you are welcome to come and watch me do a party. As I said, there is loads of training, both online and in-person. 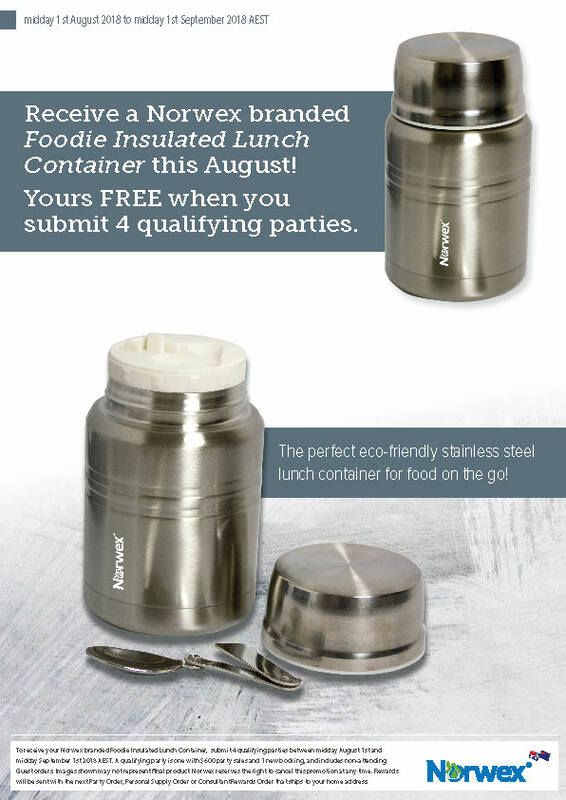 But you can do a party straight out of the box if you want to, too! The Safe Haven Five party only takes about 30-45 minutes from beginning to end, with some extra time afterwards for taking orders, so it’s truly so simple! You certainly can, and I do, regularly, so if you would like to be added to one to check it out, just let me know. 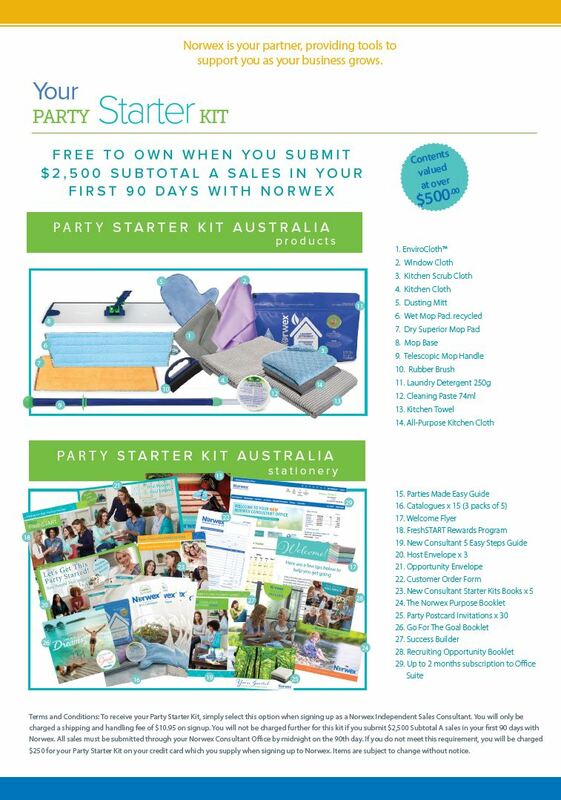 What’s even more exciting, is that as of this month, Norwex is partnering with Sqweee in Australia, which is a browser based online party program, allowing you to run a party online with no need for guests or hosts (or you!) to download or join anything! And all the images and words are supplied by Norwex, so it is another easy out-of-the box way to run a party! While I do think it is easier to sell Norwex in person – to be able to show people how it works and physically get it into their hands to try – the fact is, we can’t reach everyone that way, for a variety of reasons. And, some people just prefer online shopping. They are in the minority there, but are now some consultants who successfully run a Norwex business solely through online parties, and in fact at least one of those consultants earned the incentive trip (to South Africa!) 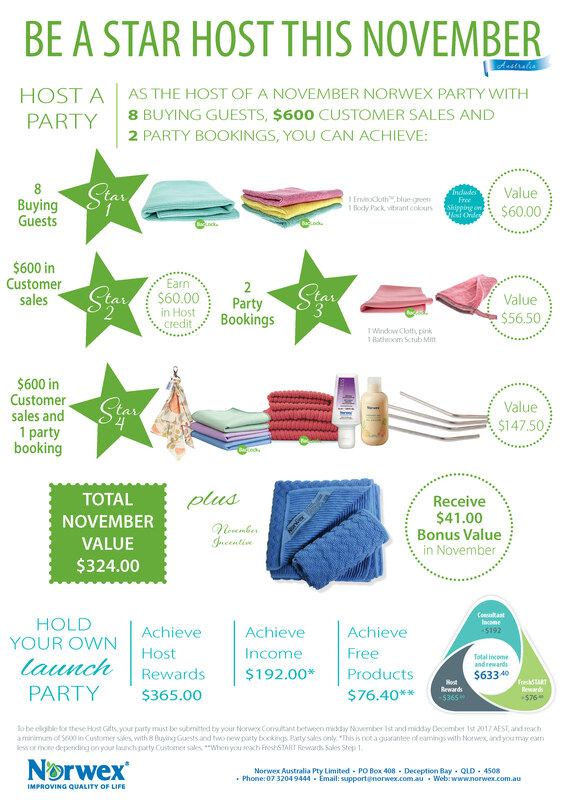 in 2017, and there is one senior leader with Norwex Australia who got there without doing a single in-home party! Well, the best way is to message me and ask me how to become a norwex consultant, LOL. I have covered a LOT of material here, but believe it or not, there’s still more to know! And getting the timing right makes it much more likely that you will earn your kit for free and/or get a bunch of start up rewards. However, the simple answer is you sign up with Norwex here. However, I’m not kidding – I really do strongly suggest you get in touch first and we can chat about the best choices for you, whether you should opt in to get your own public Norwex website for free for three months (uh – yes!) and what the best timing is. I’d love to know what you would like to do with the opportunity of joining Norwex (even though that can change over time), and how I can best support you.